Advertise your website with us.. 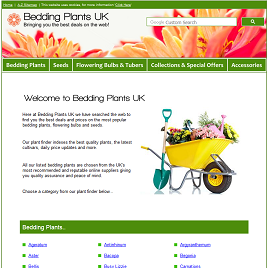 List your website on our resources page from £29.99 a year! 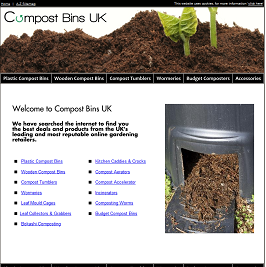 List your site for one or more years on our resources page. Save money when buying more than one year. You can add a description and contact details in the next step. You do not need a PayPal account to use this option. If you need more details or to amend or add to a listing contact me here. 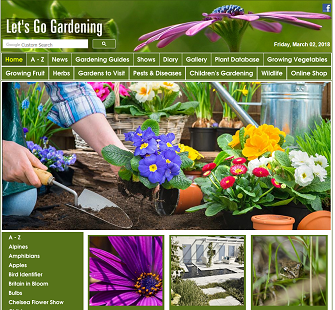 Let's Go Gardening has been online since 2001 so you can be sure your listing will stay on our website. Want more exposure? Why not list your website on our three sister sites as well. Your website listed on all four websites! See our 'Group' listing for further details. If you like you can send us your details upon payment by contacting us here. Please include a website name, web address and short description of your services. Your website name & short description..
1) We no longer accept articles. 2) Banner ads on specific pages can be bought, email us with your enquiry. 3) We no longer participate in link exchanging. 4) We do not list websites before payment. 5) We reserve the right to refuse the listing of a site we feel is illegal, spam, virus or malware infected or deemed inappropriate by us. If this is the case a refund will be given. 6) New prices only apply to new customers after February 2018. Existing customers who chose automatic subscription will be discounted at renewal time. 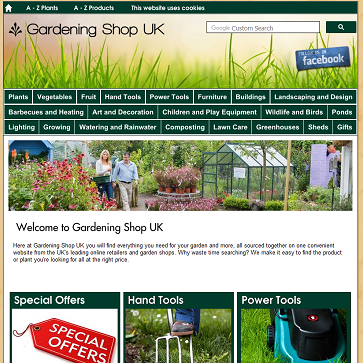 List your website on all four of our gardening websites! Your website will be listed on the links pages of all four of our websites. Please note: We do not list websites before payment. We reserve the right to refuse the listing of a site we feel is illegal, spam, virus or malware infected or deemed inappropriate by us. If this is the case a refund will be given.